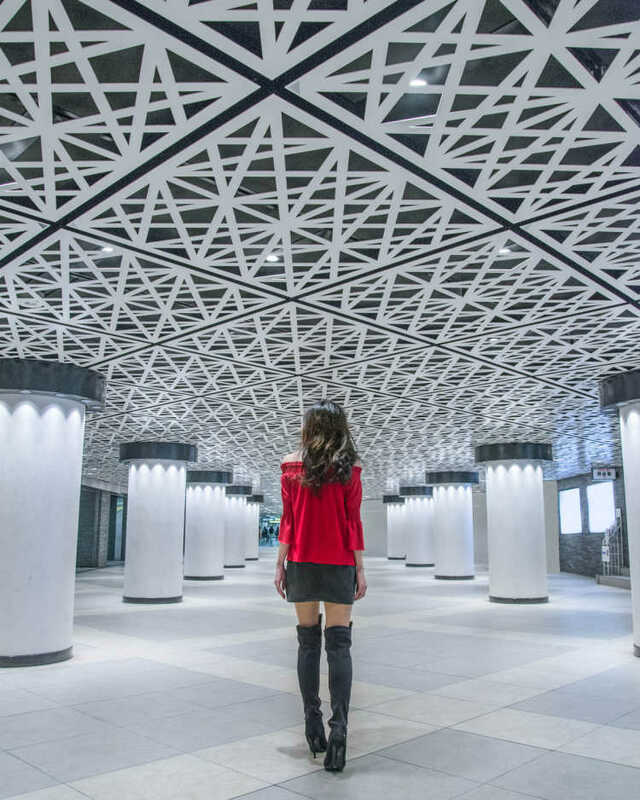 At a passage connecting Ginza Station and a gate for Tokyu Plaza Ginza, there's a fashionable ceiling with Edokiriko (Tokyo's traditional glass products) patterns as its motif. The passage looks ordinary though, it's unexpectedly photogenic in the picture. Why don't you drop by?